Peter Jackson’s handling of archive film and sound is masterful and innovative, but his generalised account of the First World War risks re-entrenching some deeply conventional myths and misconceptions, writes Thomas Cheetham. One of the very first voices we hear at the start of They Shall Not Grow Old – Peter Jackson’s documentary on the British experience of the Western Front, released to coincide with the centenary of the armistice – describes the sheer scale of the progression which took place in four short years of war. A soldier who saw action in 1914 and returned to the continent in 1917 would, the veteran explains, have had trouble believing this was the same war. Yet this one line of dialogue represents the only nod to the fact that the modern, mechanised war which Britain and its allies won in 1918 bore little resemblance to the essentially Victorian one it had impetuously entered in 1914. In combining restored archive footage and oral histories of veterans, Jackson intends to encapsulate the archetypal experience of life and death on the Western Front between 1914 and 1918, rather than any specific event: it was emphatically not his intention to tell the chronology of the war. Unfortunately, a narrative does emerge out of the various themes, both because any film requires structure, and because audiences will perceive a narrative even where none is offered. The film expects too much of its audience for them to appreciate that this was not the intention: most will undoubtedly fall into the same camp as Brian Viner, writing for the Daily Mail, who erroneously but understandably reports that ‘The film is chronological, starting with the desperate recruitment drive in 1914 and early 1915, and ending with the Armistice, which was greeted almost with disinterest by soldiers weary to their boots of war’ (https://www.dailymail.co.uk/tvshowbiz/article-6283821/BRIAN-VINER-reviews-Peter-Jackons-colourised-WW1-documentary-Shall-Not-Grow-Old.html). The narrative of They Shall Not Grow Old, in contrast to the novel audio-visual techniques, is deeply conventional. It is also a story which has been overwhelmingly disproven as myth. The narrative leads through the 1914 ‘rush to the colours’, rushed training, the raw troops’ introduction to trench life, the allure of estaminets and brothels behind the lines (this, at least, will be news to many who assume the troops spent four years under shellfire in the same flooded trenches), to their commitment to the ‘big push’ (time and location unspecified, but illustrated by footage from the Battle of the Somme film, itself a major cinematic event when released in late 1916). They witness the bombardment, and go over the top, where they meet unsuppressed German machine guns and uncut barbed wire. Despite this, the survivors make their way into the German trenches, where hand-to-hand combat ensues. Prisoners are captured, and the wounded of both sides make their way to the rear for treatment. The Armistice takes place, apparently out of the blue. The troops return to Britain, are demobbed and go back to their civilian lives, forever changed by the war. This narrative overrides Jackson’s attempt to provide a thematic, non-chronological representation of the Western Front experience. By attempting to sidestep the need for narrative, Jackson not only misses an opportunity to provide a fresh account of the changes which occurred between 1914 and 1918 – he also invites confusion by portraying an imagined events which no one individual actually went through. The problem is most clear in the portrayal of ‘going over the top’. The British Army launched many offensives throughout the war, seldom successful in 1915 and 1916 but learning by experience so that by 1917 it could expect success and by 1918 was capable of dismantling the German army piecemeal. The film, by contrast, represents just one archetypal attack obviously modelled on the notorious, but not particularly representative first day of the Somme offensive, 1 July 1916. One soldier explains how a short barrage was to be employed, before others describe the assault foundering on uncut barbed wire – one could be forgiven for believing that the attack failed due to lack of preparation, whereas the truth is that it was overreliance on artillery preparation which doomed the offensive. Jackson could with justification have portrayed an early-war attack with an extended bombardment followed by a failed assault by rifle-armed infantry; or a late-war short barrage, using new fuses which could effectively clear barbed wire, covering a rapid and successful advance by infantry with grenades, mortars, light machine guns and intimate support from tanks and aircraft. Instead he portrays neither. Quite aside from combat itself, training, equipment, logistics, food, medical care and welfare all progressed to a much high level of complexity and effectiveness by the end of the war, but since it conflates and elides the varied experiences of the veterans regardless of their true place in the progression of the war, They Shall Not Grow Old cannot represent these advances either. Jackson deserves great credit for making a genuinely innovative contribution to the popular history of the First World War. It is to be hoped that his methods can be applied more broadly, since the immediacy they lend to archive footage, and the increased impact on viewers which results, are undeniable. Hopefully the film will encourage members of the public to learn more about the First World War. Yet it will itself do little to shift public perception, as by failing to grapple with the problem of narrative, it tacitly supports the conventional interpretation of the war and validates the worst preconceptions of its audience. As Peter Bradshaw of The Guardian writes, ‘This is a film to fill you with an intensified version of all the old feelings: mostly rage at the incompetence and cruelty of a governing class that put these soldiers through hell in their mechanisation and normalisation of war’ (https://www.theguardian.com/film/2018/oct/16/they-shall-not-grow-old-review-first-world-war-peter-jackson). The problem is that those ‘old feelings’ are at odds with the historical record and much modern scholarship. In spite of the pioneering techniques involved, They Shall Not Grow Old will only hinder the effort to disseminate a more complex, nuanced and evidence-based understanding of the First World War. 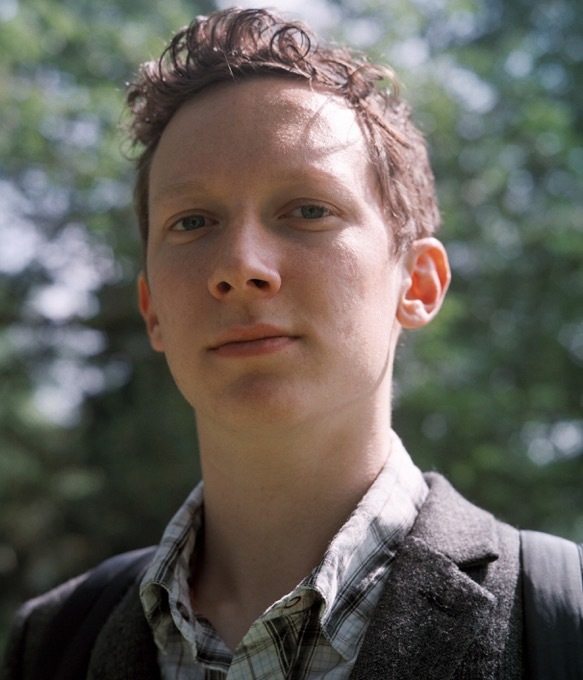 Thomas Cheetham is a PhD candidate at the University of Wolverhampton.His current research explores the uses and usefulness of oral testimony in military history through an analysis of interviews with British Army veterans of the 1944-5 campaign in north-west Europe.